If you plan on vlogging in 4K quality with full comfort, then meet DJI Osmo Pocket. Osmo Pocket comes with a smaller size compared to its predecessors. It fits perfectly in your palm even can be inserted into your pocket with ease. 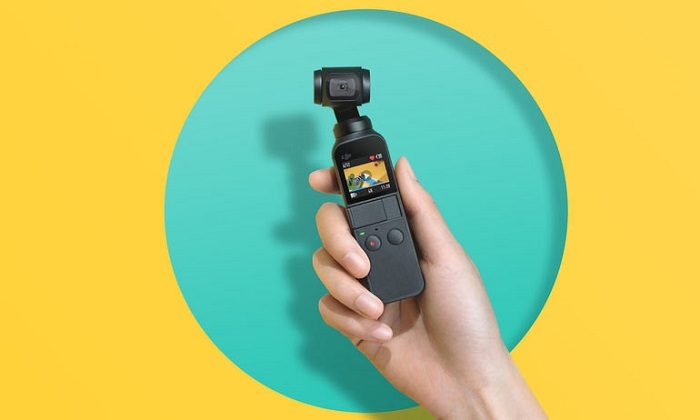 It`s a perfect choice for Vloggers, VJs, news crews, or those of you who needs to get stabilized shot without drawing attention to themselves. The buttons and layout of the candy bar-sized Osmo Pocket are simple and straightforward so it be operated entirely one-handed. It comes with a small 1-inch touchscreen that serves as a viewfinder with a record button and a multi-purpose button (power on/off, menu button, and as a function button when you are shooting). There is also a kind of locking hot shoe style interface where the lighting connector, USB-C connector, and other accessories can be attached. Inside the fully articulating 3-axis design are micro brushless motors, with a silent, fanless heat dissipation system built into the handle. The plastic body feels solidly built and has a grippy finish, which is a pleasant change from soap-like smartphones. 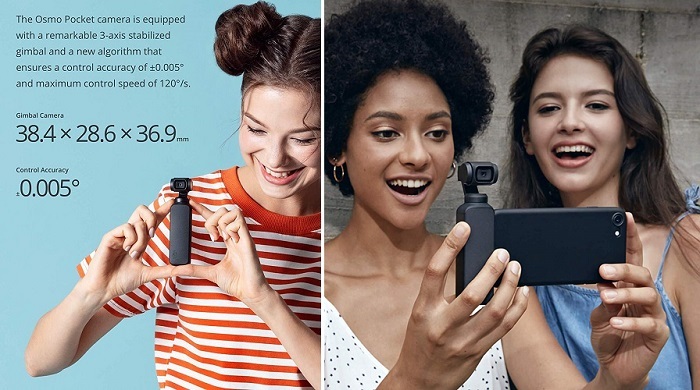 DJI Osmo Pocket has a sensor size of 1 / 2.3 inches capable of capturing photos with a 12 megapixel resolution. Meanwhile, for video capabilities, this 4K camera is able to record images with 4K 60 FPS resolution. To smooths out your footage, the 3-axis gimbal adjusts your shaky hands and bouncy walking patterns with its own motion. 1. 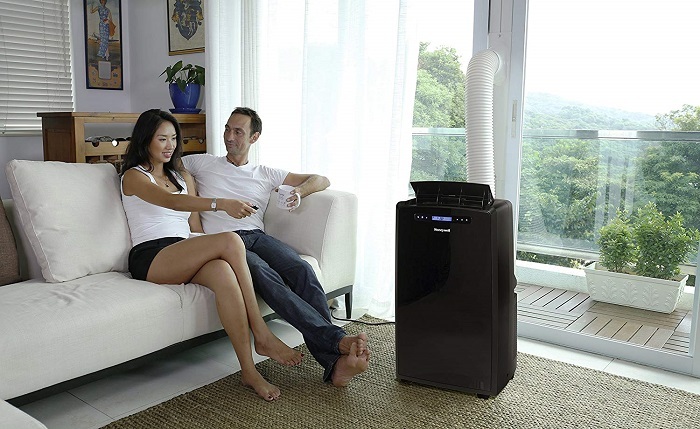 Follow Mode - moves with you and smooths out your uneven movements. 2. Gimbal Lock Mode - keeps the camera locked in its current horizontal position, ideal for up and down movement. 3. FPV Mode - follows your every tilt, turn, and rotation to mimic an action cam. Osmo Pocket offers intelligent functions like Active Track, FaceTrack, and Motion lapsed to create compelling, creative effects. Choose between 180° and 3 x 3 panoramic shots to capture wide landscape vistas. The FPV mode provides a selfie perspective, and NightShot can be used to capture moonlit or low-light scenes. The face-tracking “selfie” mode, for instance, keeps your face in the centre of the frame, no matter how wobbly your camera arm is. Motionlapse is perhaps the Osmo Pocket’s most impressive feature and it’s remarkably flexible. You can precisely control the length, the track on which the camera moves and frame intervals, either from the camera itself or the smartphone interface. To get the most out of the Osmo Pocket, you have to use the Mimo app and a smartphone. The Mimo app lets you monitor the Pocket’s image in real time as well as control all of its functionality and features. To support its performance, Osmo Pocket comes with a built-in LiPo 875 mAh battery that can last about two hours while recording 4K video at 30 FPS. • You can attach your smartphone easily. • The Auto mode worked OK in nice even lighting conditions. • Audio quality need improvement. • The Auto mode struggle in high contrast or high dynamic environments. 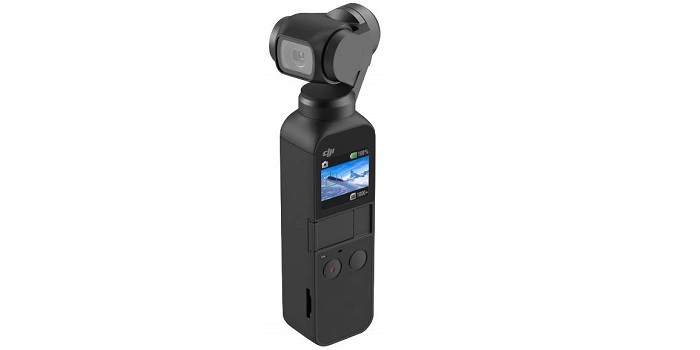 DJI Osmo Pocket is the easiest way to record stabilized 4K video without having to carry around a full-sized DSLR gimbal and bulky camera gear.